Are you struggling and can’t get rid of your P0410 code? Then this is the article for you. Here you will find the right information to get rid of the P0410 code. What Does the P0410 Code Mean? The P0410 code indicates that a problem is encountered with the secondary air injection system and it is caused by either a mechanical or an electrical fault. The P0410 trouble code is usually triggered when the vehicle’s emission system is faulty or the air pump is damaged. 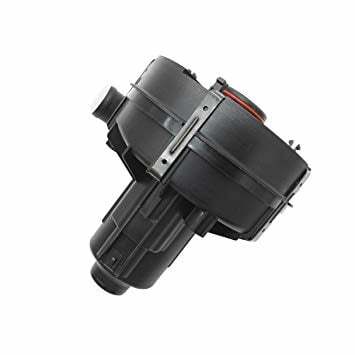 The primary task of the air pump is to transfer air to the exhaust system to reduce the emission level. The air pump extracts air from the outside and pumps it to the one-way check valve to each of the bank in the exhaust system. How to Diagnose the P0410 Code? It is important that you have the car battery charger with you before diagnosing the P0410 trouble code. Troubleshooting this code requires the engine to be running in order to check the voltage and resistance in the circuit. This leaves a risk of the battery charge getting reduced and possibly result in additional trouble codes to generate. To diagnose the P0410 trouble code, it is important that you have the OBD2 scanner with you. Every vehicle produced after 1996 is equipped with an onboard diagnostic system that stores information about trouble codes and is used for self-diagnostic and reporting. The OBD2 scanner is capable of reading this information stored within the onboard diagnostic system. You can either buy the basic code reader that provides only specific information related to the code or you can buy the advanced scanner that also allows to monitor and record live data as well. Locate the O2 oxygen sensor on your vehicle and notice for any signs of damage or corrosion. Also check the wiring harness for any broken connection. A lot of times, bad connections and dirty or contaminated O2 oxygen sensor causes the P0410 trouble code to generate. Next, check the voltage across the O2 oxygen sensor. Before testing, make sure that the engine is cold and the vehicle has not been driven in the last 10 hours. Start the engine and using a scan tool, measure the voltage across the O2 sensor. If the voltage drops below 125 millivolts (0.125 Volt) after about 10 seconds, it means that the secondary air system is working fine. However, if the voltage does not drop, it is an indication that the secondary air system is faulty. If the voltage does not reduce below 125 millivolts (0.125 Volt) but you can hear the air pump running, carefully inspect all the hoses, valves and solenoid to notice for any signs of a leakage. If you have inspected the O2 oxygen sensor and all the electrical connections as well, there is a possibility that the secondary air injection pump has gone bad and needs replacement. You can either visit a professional mechanic for replacement or perform the procedure at home. Open the hood of the car and locate the air injection pump. It is positioned on the front of the engine with the serpentine belt surrounding it. Ensure that a belt routing diagram is there under the hood of the car so you know how to install the serpentine belt back. Using a ratchet, remove the serpentine belt and disconnect any hose from the pump. Next, remove all electrical connections and vacuum lines from the pump as well as the bolts securing the air pump. Gently remove the pump from its place and get the new air injection pump. Install the new pump and connect all the electrical connections and the hoses. Make sure the bolts are tight and fixed properly. Reconnect the serpentine belt and close the hood. The average cost to replace the air injection pump comes between $300 and $400 depending on the car model and make. The labor cost is approximately $100 while the part itself cost about $220 and $260. Should I Repair the P0410 Trouble Code Right Away? The P0410 trouble code does not cause serious drivability issues but reduces the fuel consumption of the car drastically. Moreover, your vehicle will start emitting dangerous pollutants. If the error code is ignored for too long, the car’s engine, as well as the exhaust system, can get damaged. If you have any further questions related to the P0410 trouble code, just comment below and our team will get back to you shortly. Don’t forget to mention your vehicle model and make and also the steps you have taken to fix the problem.